As you stand in the barn in the very early morning hours, it's quite easy to imagine why Joseph and Mary chose a stable so many years ago. There is something comforting about the soft rustling of the animals, and the smells of the barn all mixed together. Without much effort you can envision Mary with the newborn Jesus sitting in the hay. The sheep would have been curious as they often are. Wondering what this new thing was, can you eat it? What does it smell like? If anything I am sure Joseph would have to shoo away the nosy ones. People often ask us why we chose this lifestyle. "why on earth would you give up your lovely house in the city to move to the middle of nowhere and have to do so much work?" It's hard to explain. 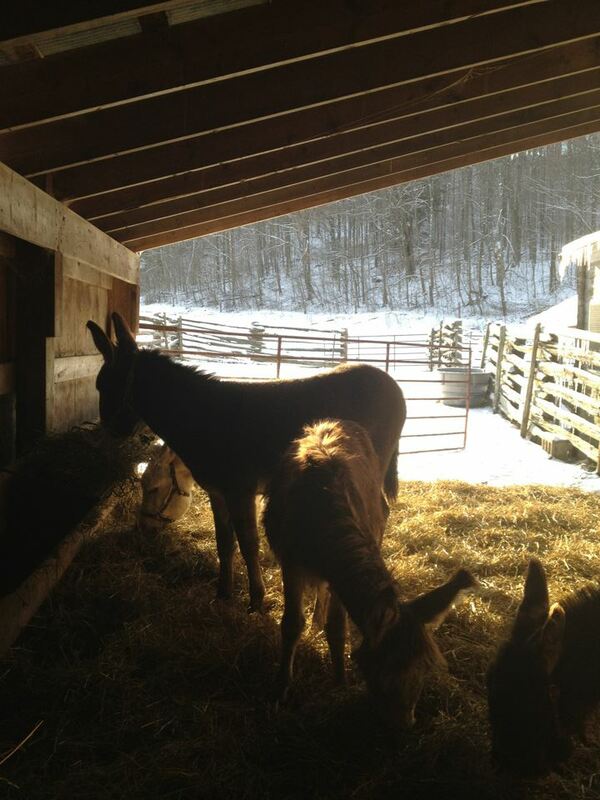 But standing in the barn on a cold snowy December morning, it's quite simple to feel.